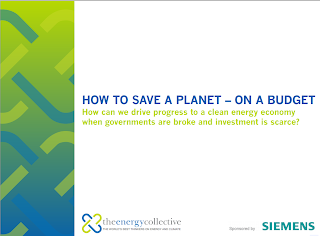 Insights on cleantech investing are featured in a new ebook from The Energy Collective. How to Save a Planet – On a Budget. The book offers insights from over a dozen experts in the field and includes pertinent information for companies, investors, and clean energy advocates. 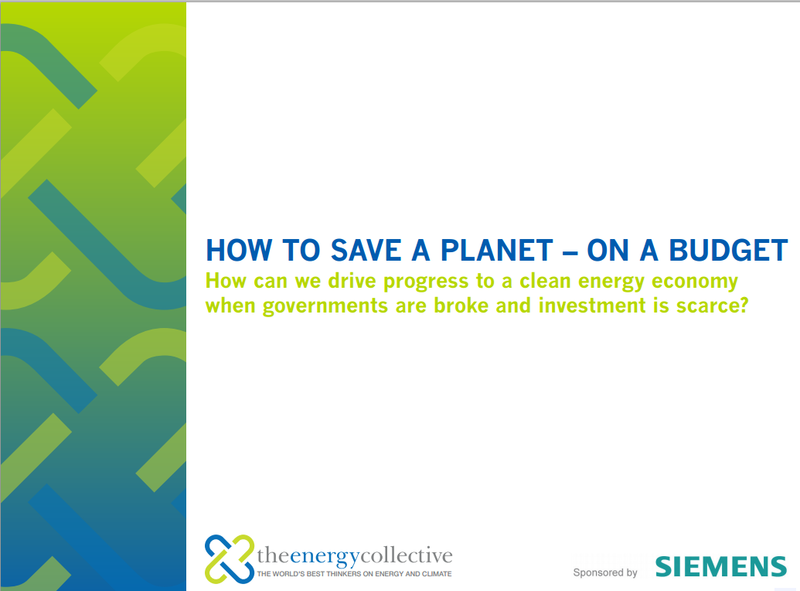 The book asks the critical question, How can we drive progress to a clean energy economy when governments are broke and investment is scarce? For those concerned about the planet’s well-being, it’s one of the crucial questions of our time, one that may have implications for our environment for generations. In a time of financial scarcity, the goal at TheEnergyCollective.com is to figure out how companies and governments can shift to greener, cleaner consumption of energy, and, most importantly, how they will pay for the infrastructure projects that are essential to limiting our output of climate change-causing greenhouse gases. To that end, the editors conversed with a diverse group of experts and examined case studies that describe viable solutions to our climate crisis in the midst of an economic crisis. This content hopefully will be of interest to energy professionals looking to learn about where the industry is going, those in cleantech interested in financing solutions, those in government hoping to improve local infrastructure, and advocates, journalists, policymakers and policy wonks looking for the latest insight on market solutions to climate problems. Can carbon markets drive green innovation and infrastructure? Andrew Carman, Head of Americas for Project & Structured Finance – Infrastructure, Cities & Industry, Siemens Financial Services, Inc.
Log in | 73 queries. 1.136 seconds.